New generations try to make a new way, but don't count your paper stacks in paper planes. The Endangered is Maiya Sykes, Nick Block, Frank Abraham and Gene Coye. Founded in Los Angeles in 2009, guitarist Nick Block and drummer Gene Coye, who met while attending California Institute of the Arts, enlisted Berklee College of Music graduate, bassist Frank Abraham, to establish a start-up music production house dedicated to writing songs for others. While working together the three realized that they were in need of a talented in-house vocalist and turned to singer Maiya Sykes to write lyrics and perform the trio’s compositions. Sykes, a brilliant performer who not only sings back-up for Macy Gray and fronts the house band for the uber-trendy Sayers Club in Hollywood, was an undeniable first choice. Prior to teaming up as The Endangered, Sykes had previously played with both Coye and Abraham. With a few songs under their belt, this foursome discovered that writing as a team came naturally and with a good vibe. According to guitarist Nick Block “We'd established a unique sound based on the eclectic mix of all our personal influences and realized it made more sense to depart from the concept of selling our recordings for other artists to cover, and embrace the idea of making a true band out of the relationship the four of us developed as writers. ” It was then that these collaborators decided to officially become The Endangered. 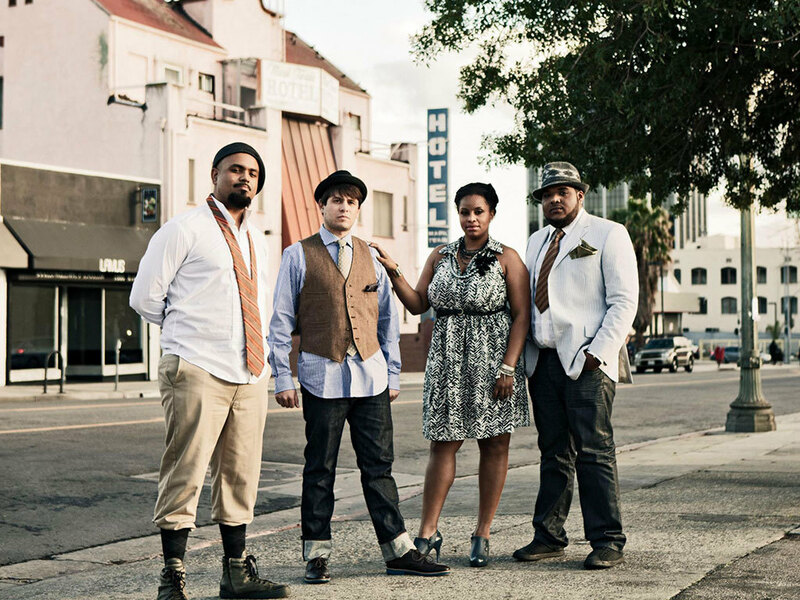 The Endangered has since been committed to composing, recording and performing original material that brings to life their unique blend of Vintage Soul, Adult Contemporary R&B, Rock, Hip-Hop and Jazz. A sonic reflection of The Endangered’s unique, cross-genre artistry, the band’s live set list includes covers of Radiohead’s ‘There, There’ and The Police’s ‘Message In A Bottle’. The Endangered actively gigs all over Los Angeles and has performed at landmark venues like Molly Malones. May 22, 2012 marks the release of the band’s first EP, The Endangered. Produced by Grammy(R)-winning, industry veteran, Steven Miller (Jack Johnson, Pink, Dave Matthews Band and more), The Endangered is comprised of five tracks including ‘Broke Heart’ - the first song written by this group, along with the band’s first single, an emotional ballad about overcoming heartbreak entitled ‘Calling On You’. ‘Calling On You’ was released as a digital single on May 1, 2012.